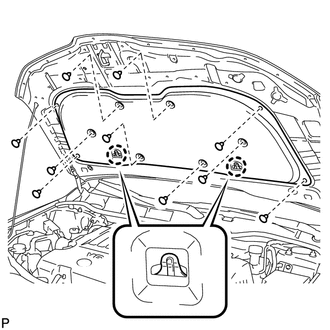 (a) Using a clip remover, disengage the 10 clips and remove the hood to radiator support seal. (a) Using a clip remover, remove the 10 clips. 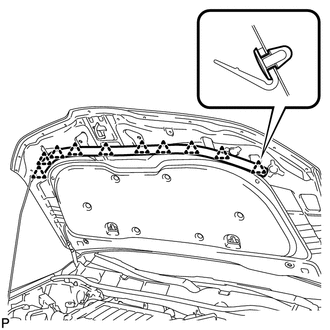 (b) Disengage the 2 claws and remove the hood insulator. 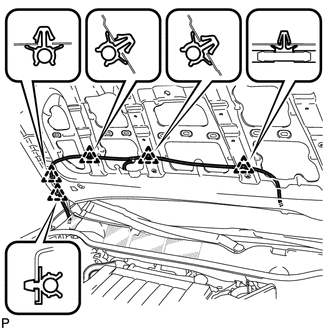 (a) Using a clip remover, disengage the 5 clips and disconnect the washer hose assembly.